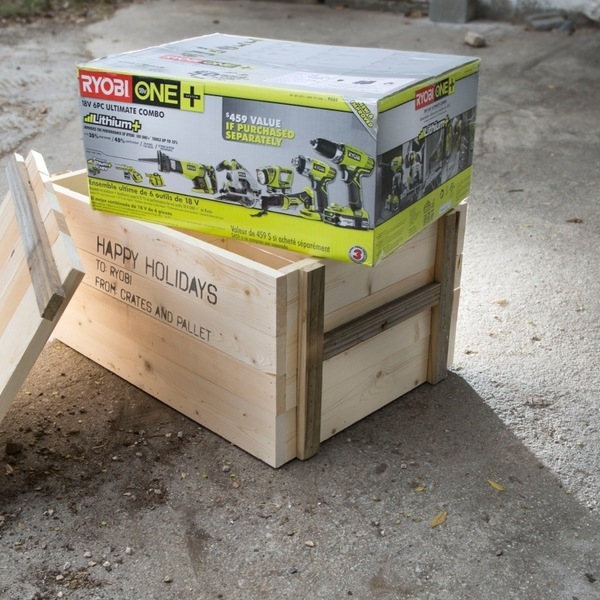 Gift-wrap and fluffy bows just don’t cut it if you are planning on gifting a Ryobi Power Tool. Opening your present with a crowbar or a Ryobi Cordless Power Drill? Now that’s more like it. 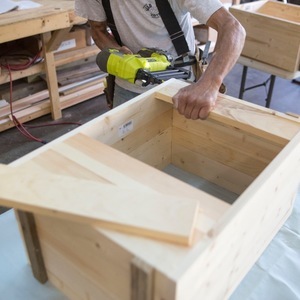 Not only is opening a crate a fantastic experience, these sturdy crates can be repurposed into exciting new possibilities (Check out some of our ideas at Crates and Pallet after the holidays). 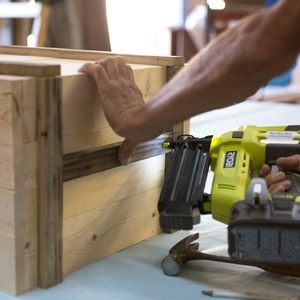 All measurements for this crate were based off fitting the Ryobi ONE+ 18V 6PC Ultimate Combo. This box is 19-3/4”x15”x9”. 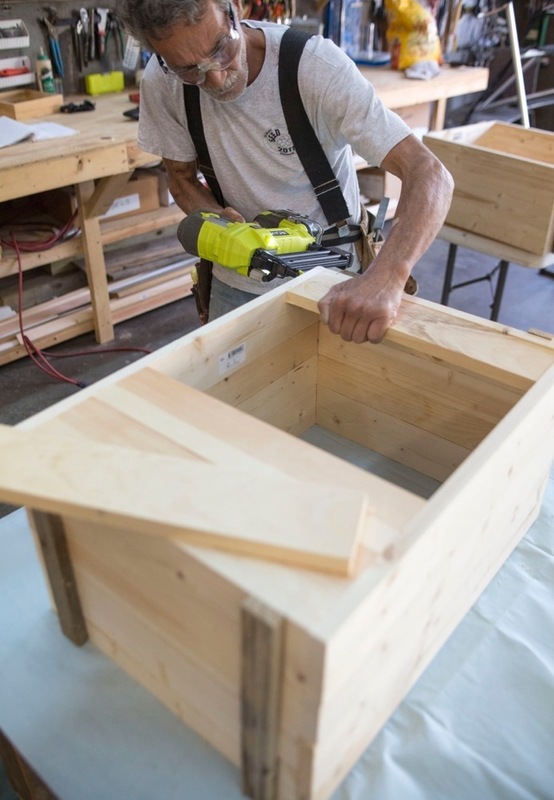 We gave ourselves 2” extra on the long side and 1” on the short side and top to make sure we could get the box out. (a) Cut and rip your pieces. For the sides you will need (8) 23-1/2”, (8) 16” pieces. For the base you will need (14) 16” pieces. 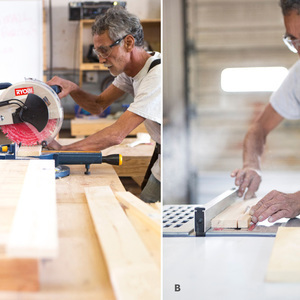 (b) Because the base is 22” on the interior you will need to rip one of your 1”x4” boards. Nail together the sides. 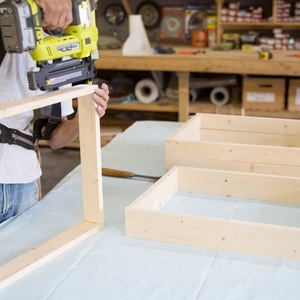 Using your Ryobi Brad Nailer, attach together the sides, remembering to put the short sides on the inside. Complete your frame. 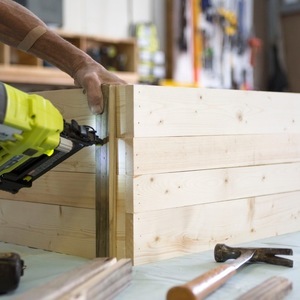 With the Ryobi Brad Nailer, attach the final sides together. Stack your box. Place the four frames on top of each other. 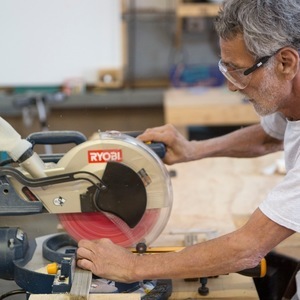 Cut your support frame. 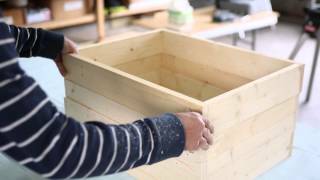 We used (2) 25”x1.5”, (4) 12”x1.5”, and (2) 11”x1.5” reclaimed lumber as an accent for our crate. 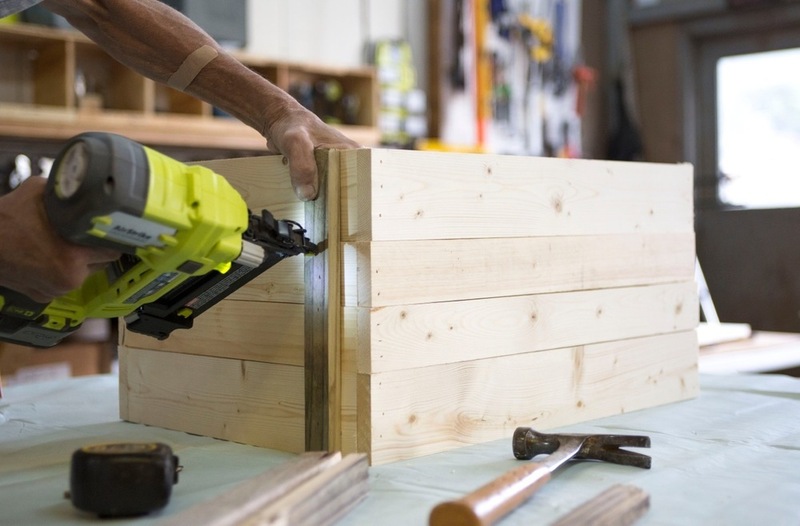 Frame your crate. 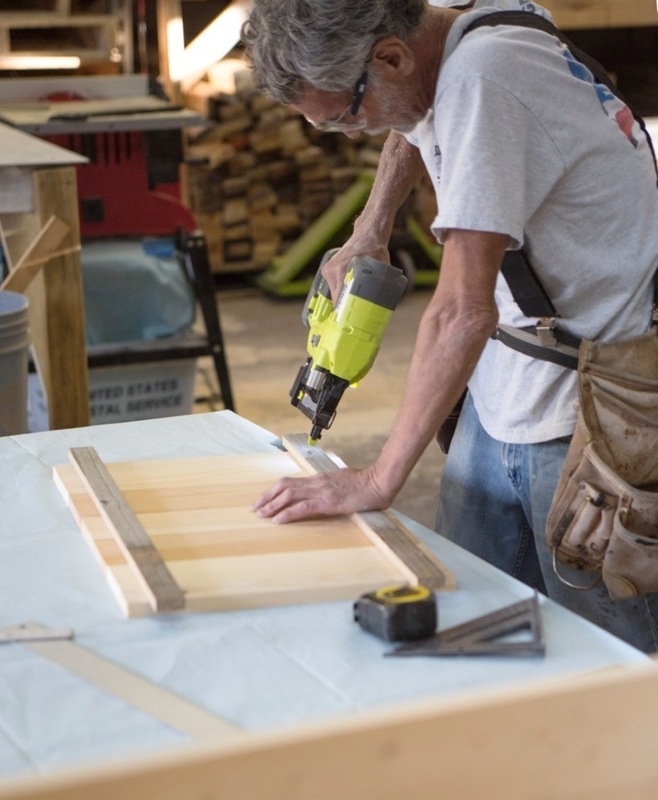 After making sure your sides are aligned, use one of the 12” reclaimed boards to attach the four layers together. Add the bottom. 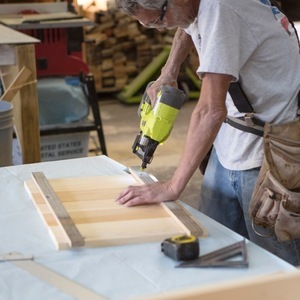 Now that the box is sturdy, attach the (7) 16” boards. This will also make your crate much stronger. 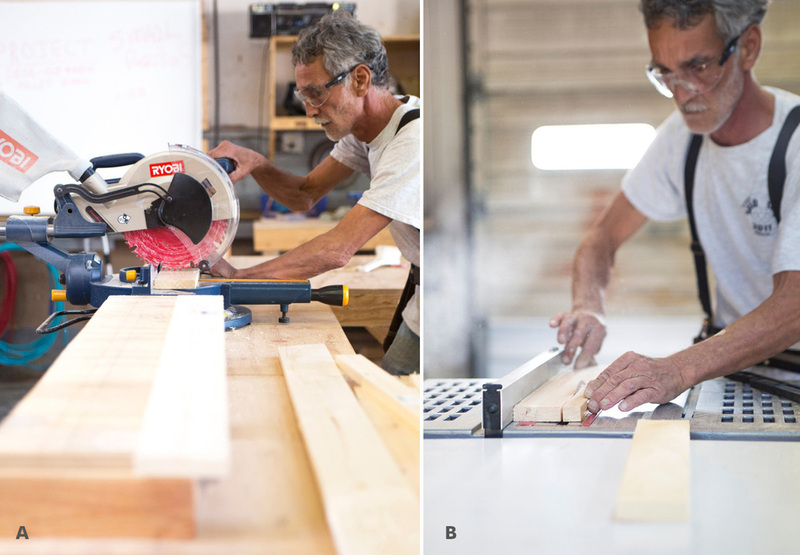 Build your top. 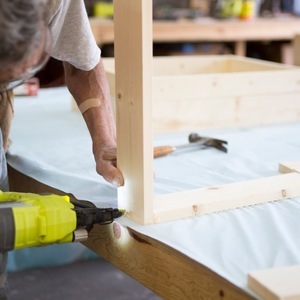 Line up the (7) 16” boards and make sure they are slightly smaller than your interior box dimension. 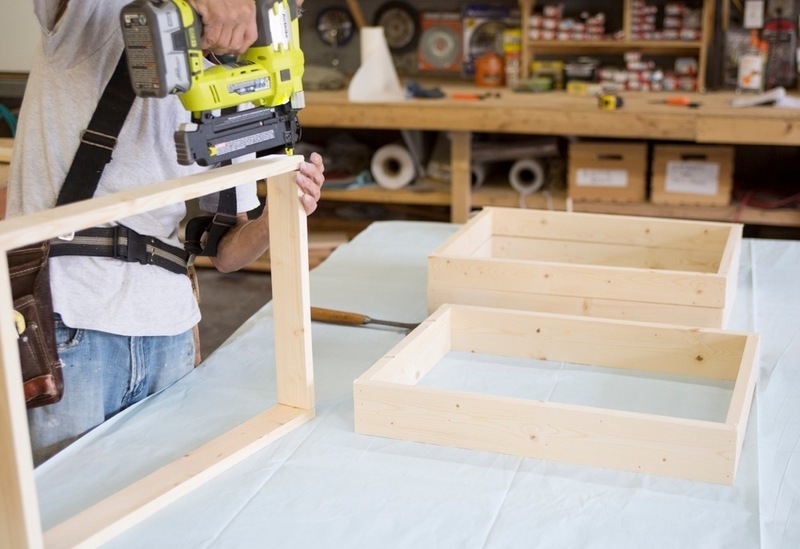 Lay the 25”x1.5” cross supports on top and attach them with your Ryobi Brad Nailer. 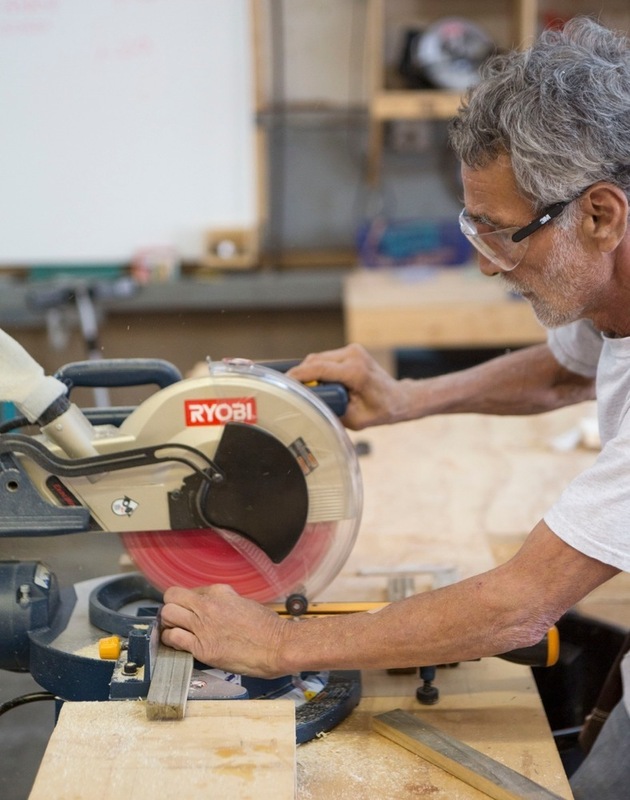 Attach the handles. 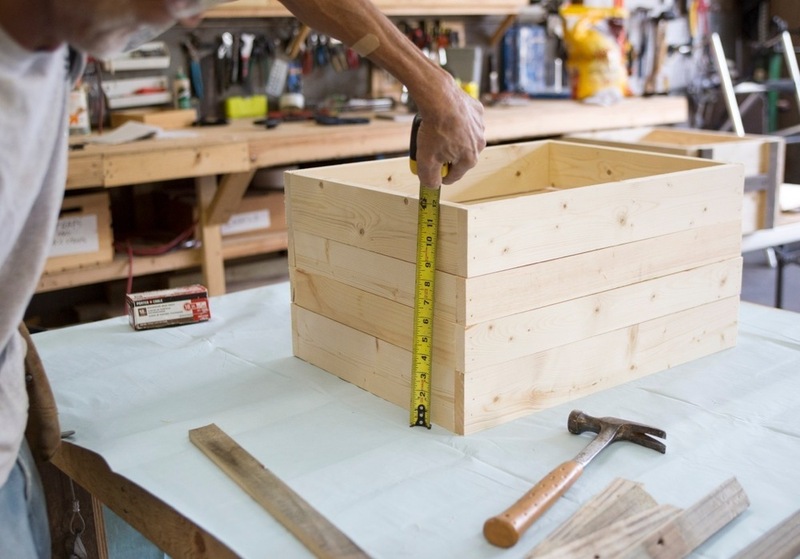 Attach the (2) 11”x1.5” handles on the two sides. 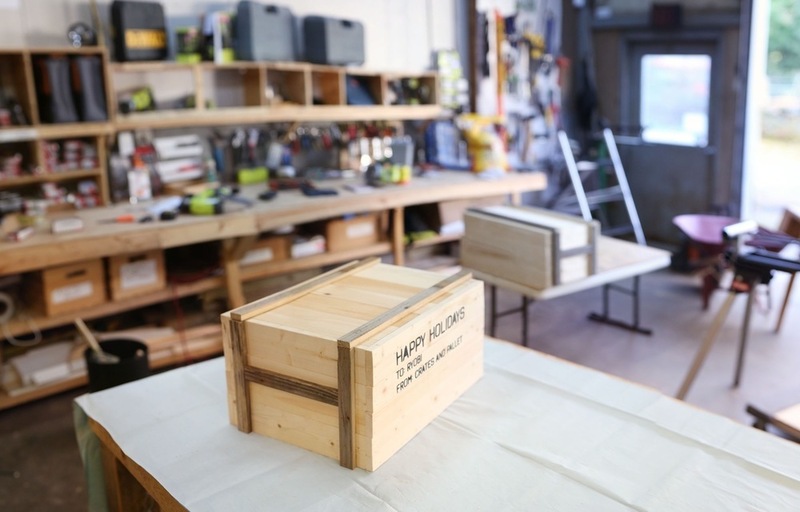 Put your gift in your new crate and let the anticipation build! 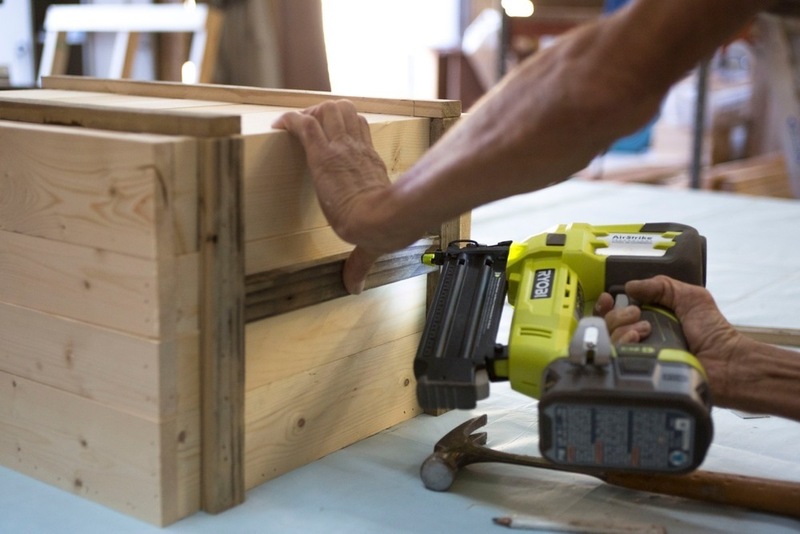 After being used as a gift box, the crate can be repurposed as a storage container. 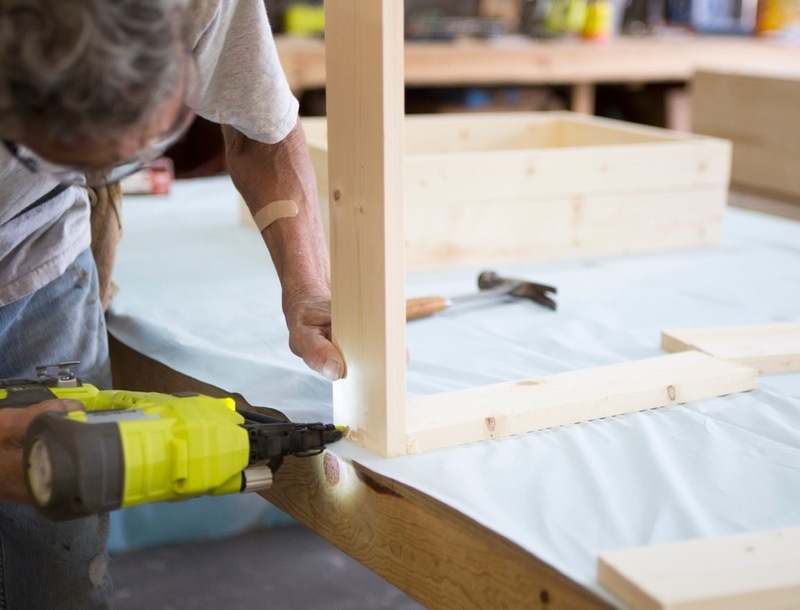 Add personality by staining the wood or painting it. 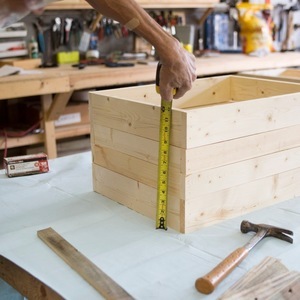 For more DIY project ideas from Crates & Pallet, visit www.cratesandpallet.com.